National Parks have become a popular escape. They bring a unique variety of gorgeous landscapes, various wildlife, adventure sports and incredible scenery. The world’s first national park is Yellowstone. It was created in 1872. It has more than 1,800 known archeological sites, five park entrances and 301 backcountry campsites according to NPS. Test your limits; go canyoneering at Arches National Park, snowmobiling in Crater Lake National Park and mountain biking in Big Bend National Park. Do you enjoy action packed adventures? Maybe you would rather go sightseeing. Whatever your heart desires, America’s national treasures, also known as “America’s best idea,” will provide them to you. For you adventure seekers, hiking, biking, camping and horseback riding are common; along with kayaking, fishing and boating. For those of you looking for a laid back experience, visit national parks to see breathtaking waterfalls, wildflowers, unique glaciers, or to go bird watching and view spectacular sunrises. To rank the parks, we did extensive research into what each of the park have to offer. We talked to several professionals who have embarked upon the incredible adventure of exploring all 59 parks in honor of their 100th anniversary. Darius Nabors, who gave TEDx Talk about Bucket Lists, has been on the road since June 2015, even though he has visited most of the national parks throughout his life. He is visiting the 59 parks in 59 weeks. Kathy and Peter Holocombe are outdoor lifestyle and adventure sports professional photographers. They hit the road full time in June 2014 in search of adventures. Mesa Verde, meaning "green table" in Spanish, offers an unmatched opportunity to experience unique cultural and physical scenery. You will get shivers running down your spine as you explore the 700 years of history and the legacy of the ancestral Puebloan civilization. 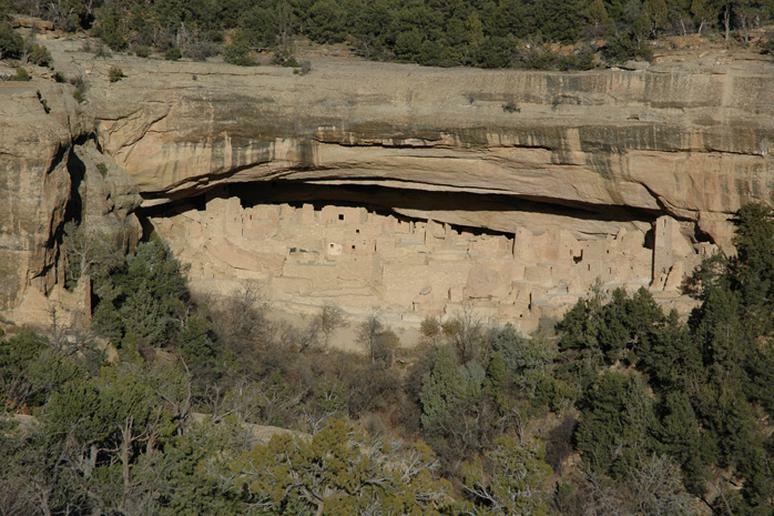 Today the park protects nearly 5,000 known archeological sites, including 600 cliff dwellings, according to NPS. Go on tours or special backcountry hikes (safety tips you should know) to make the most of your trip. This is one of the secret gems of the National Park Service. You don’t need a passport to visit this adventure destination. The vibrant reef lies just inches below the surface at Ofu Beach. Not a lot of people go to the only U.S. national park south of the equator. 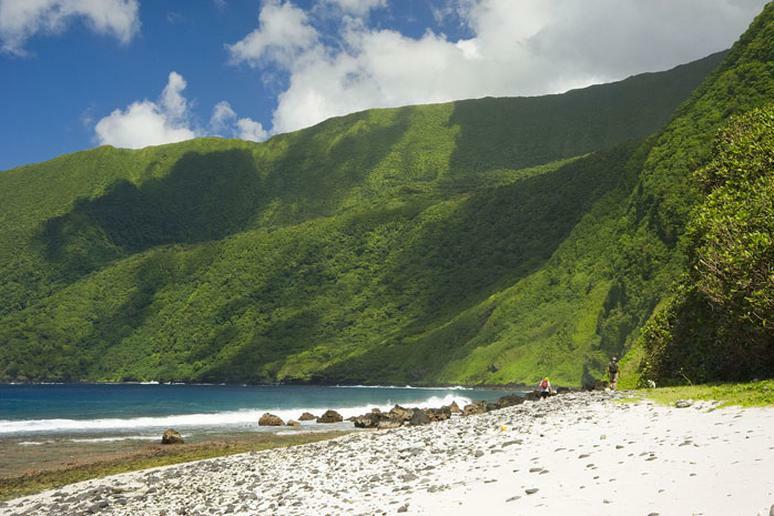 The island park is 2,600 miles southwest of Hawaii, making it one of the most remote national parks in the system. Visitors get to enjoy tropical rainforests, coral reefs, and about 4,000 acres of ocean surrounding the islands. 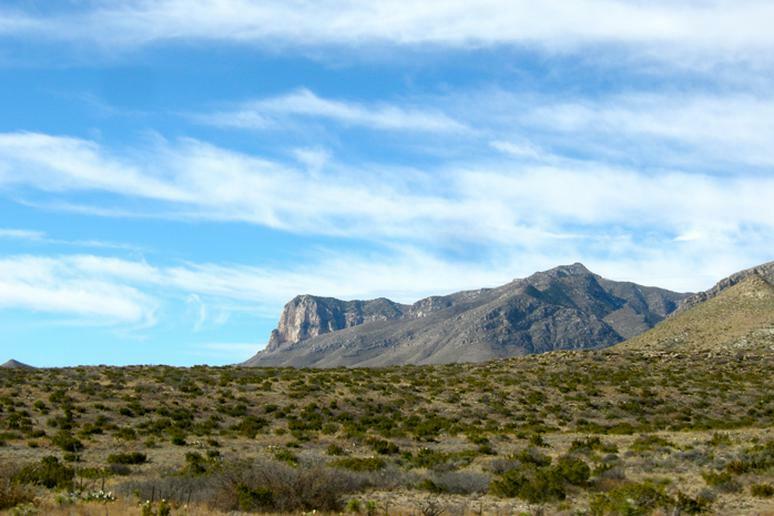 The Guadalupe Peak is the highest point in Texas, but it was once underwater and part of an elaborate coral reef. That reef is now well-preserved and on display in the limestone rocks of the park. It offers 80 miles of hiking trails so you can get close to underwater fossils that help make this park one-of-a-kind. 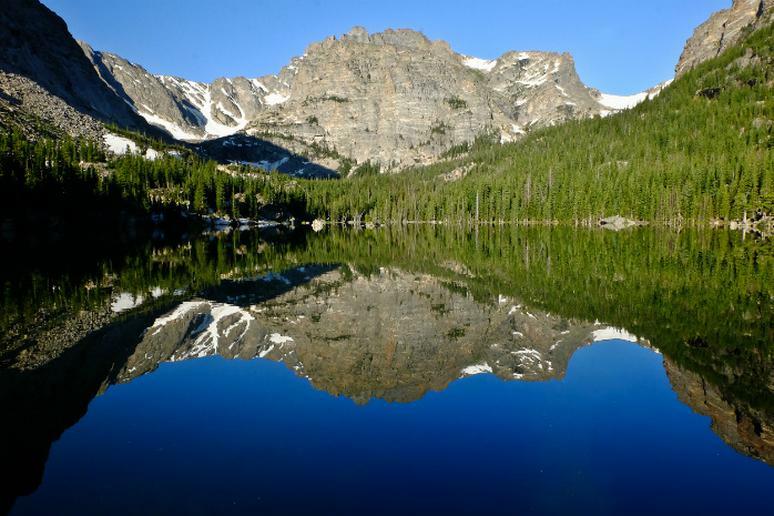 The park, which is one of the nation's most pristine wilderness areas, is also known for its extensive backpacking opportunities, according to NPS. 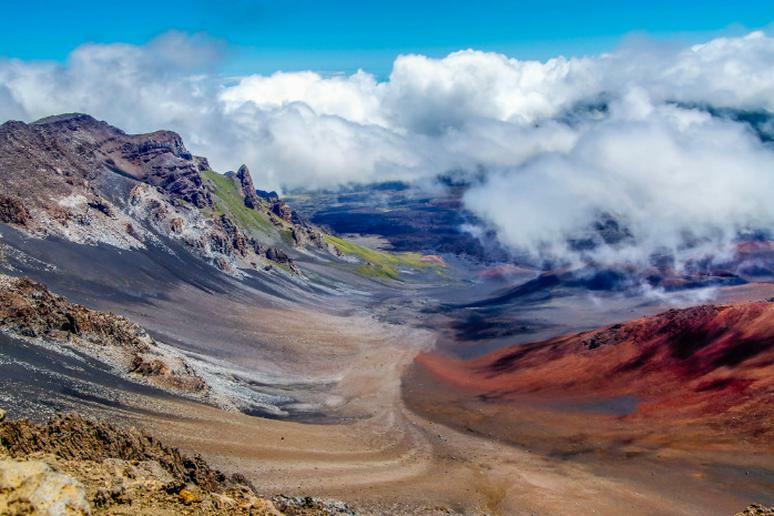 Volcanoes (see the most dangerous ones on the planet) are the main attraction at most of Hawaii’s national parks, but travelers can find an interesting beach in Haleakala. The park known as the “House of the Sun” stretches along Maui’s coastline and features a beach of basalt stones and beautiful waterfalls. Oheo Gulch draws travelers from all over. The wilderness is open for you to explore. Go on an overnight backpack trip so you can share a temporary home with the Hawaiian species that thrive here. Grizzly bears (this is how to survive an attack), caribou and sand dunes, to name a few. 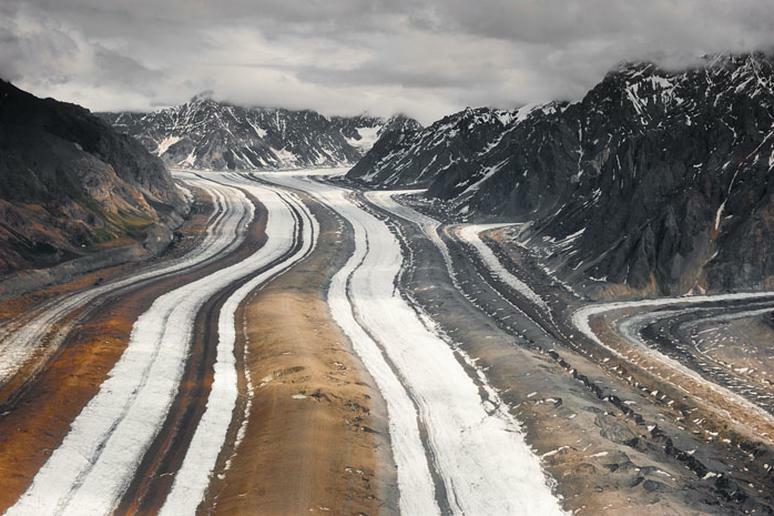 Located above the Arctic Circle, this 1.75 million-acre park holds endless treasures and wild adventure opportunities. There are no roads in or out and there are no hiking trails either, so you’ll need to access this massive park by bush plane. The park is open year-round but you should expect winter conditions from October to April. The lofty Great Kobuk Sand Dunes create an unlikely 25-square-mile sculpted desert in the middle of a wilderness of wetlands. “Where Mountains, Ice, and Ocean Meet,” according to NPS. The icebergs and glaciers there are majestic year-round. Spring is the time to visit if you want to witness gray whales coming back to Alaska. Now is also the time to see how black bears live in their natural environment. Wildlife flourishes in icy waters and lavish forests around this vast expanse of ice. 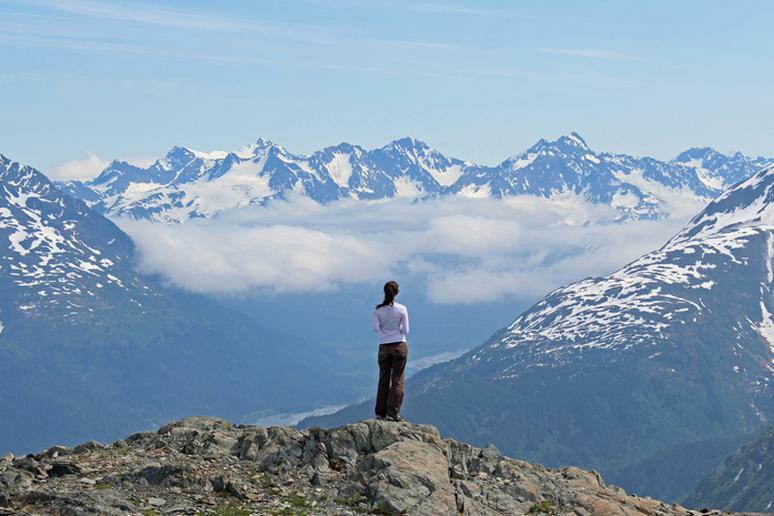 Complete the strenuous Harding Icefield Trail and you’ll have bragging rights for life. Crater Lake is one of the main attractions in Crater Lake National Park; it is the deepest lake in the United States. Visit in the winter to participate in a variety of winter sports. Some of them include show shoeing, cross-country skiing and snowmobiling. Also go hiking, biking, explore the backcountry trails, view the spectacular waterfalls and capture the beauty of the meadows. “Born of Fire,” according to NPS. About 23 million years ago multiple volcanoes erupted, flowed, and slid to form what would become Pinnacles National Park. Travelers explore oak woodlands and canyon bottoms. You get a chance to go into rare talus caves (see the coolest in the world) and emerge to towering rock spires. This is the newest national park. It got its official status in 2013. There are over 30 miles of hiking trails for all levels and hundreds of routes of rock climbing (Best places to go rock climbing). 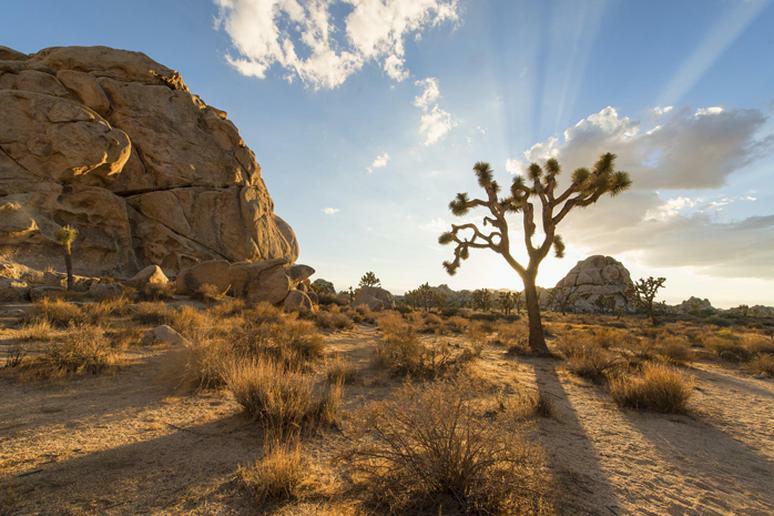 The Joshua Tree National Park has 792,000 acres of land and most of it is managed as wilderness. This is any backpacker’s dream. Climate in the winter is mild, making the park a perfect adventure destination. You can also go on an 18-mile Geology Motor Tour along a dirt road. Joshua Tree is a hub for rock climbing fans of all levels. The desert park is not just sand. You will be amazed by the various plants and animals you’ll find. 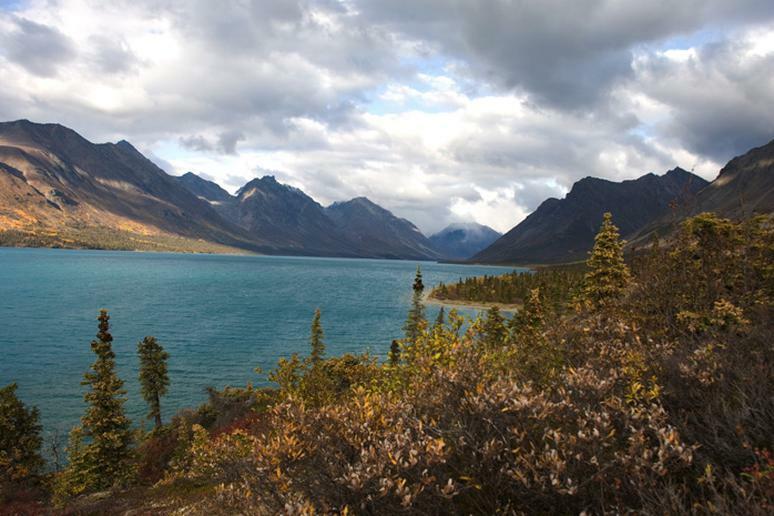 Explore glacier valleys scenic trails and view the impressive Northern Lights at Gates of the Arctic National Park. Go hiking, experience the backcountry, camp out for a night or two, and take a few hours to relax and go fishing. 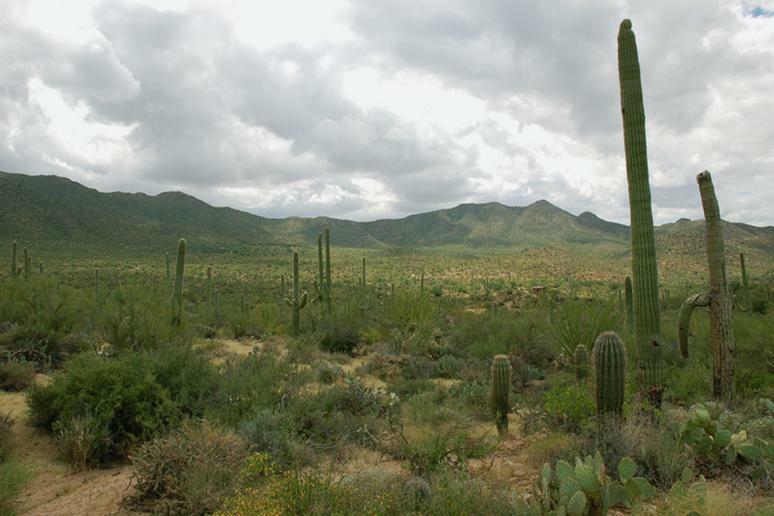 Saguaro is better known for its preservation and abundance of cacti. You find them larger there here. Trek some of the 150 miles of hiking trails to see them. Camping is among visitor's favorite (Best national parks for camping). You will be exploring the Sonoran Desert at the same time. A scenic auto/bike tour around the Cactus Forest Loop Drive offers incredible views of the Rincon Mountains. 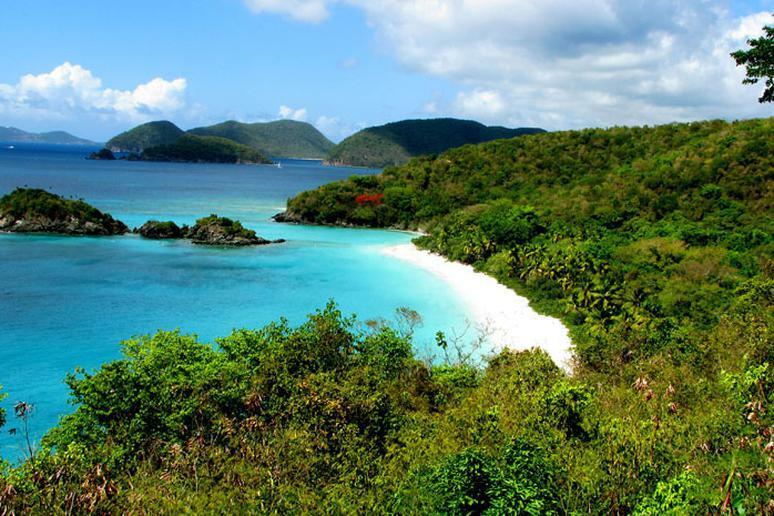 If you want to combine wilderness and beaches, the Virgin Islands National parks can offer you the best of both worlds. Travelers looking for the tropical beach vibe will be blown away by the pristine beauty of the park. Set directly east of Puerto Rico, the park covers roughly 60 percent of the island of Saint John and almost all of Hassel Island. It’s world-renowned for its protected land, beaches and waters—the SCUBA diving and hiking is hard to beat. The iconic Trunk Bay beach and Honeymoon Beach are a must-see. 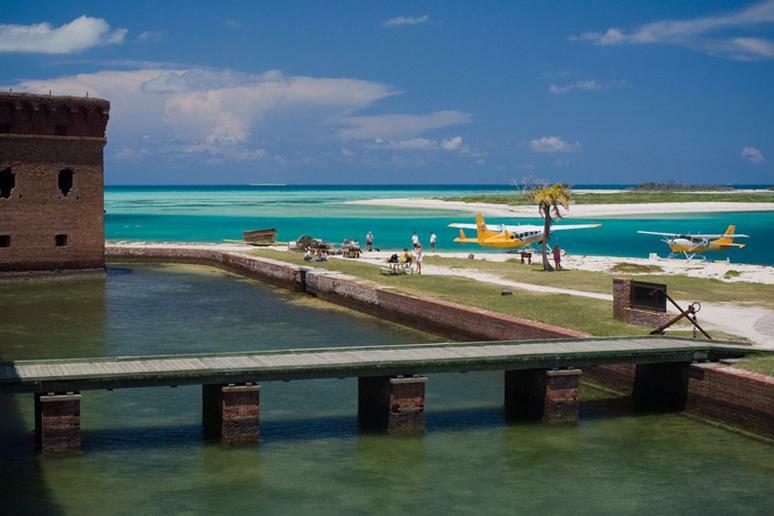 The Holcombe’s absolutely love Dry Tortugas National Park because it is a “wonderful secret.” When they visited they had the island to themselves - fewer than 20 people were there. They say that “not many people know about it.” The park is 100-square miles and contains mostly open water with seven small islands. Activities include camping, swimming, boating, snorkeling and diving. 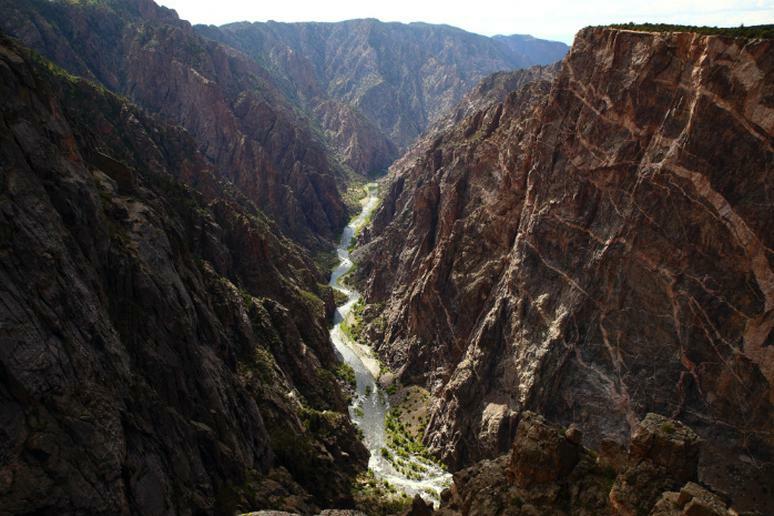 Black Canyon of the Gunnison is known for their 2,000 foot tall canyon walls. 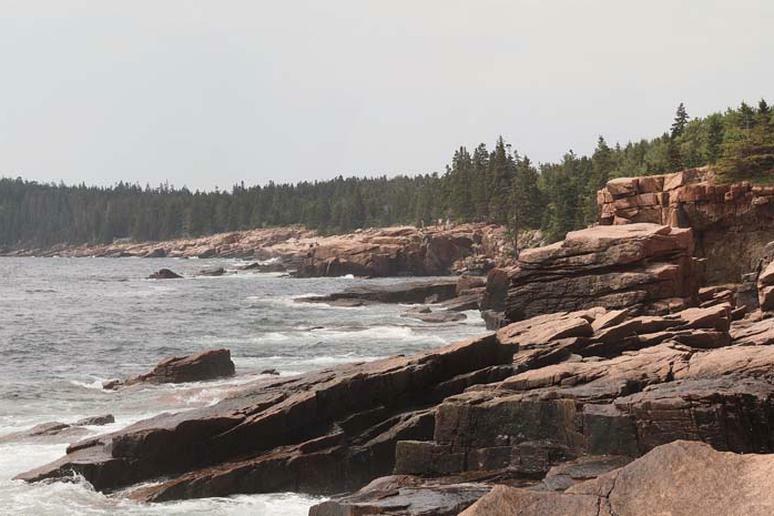 If you love rock climbing, this is the National Park for you. However, it is recommended for expert climbers only. Go hiking, camping and capture incredible views of the Gunnison River. 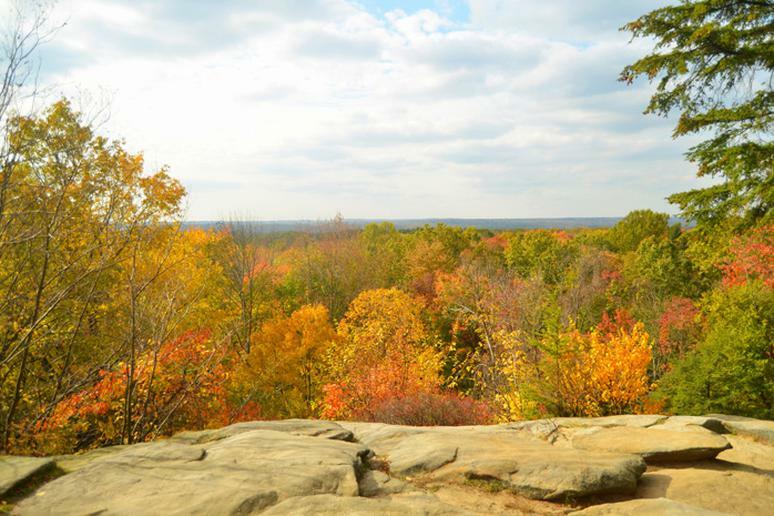 Experience the diversity of this park through wildlife watching, hiking, sand sledding, sandboarding, backpacking, horseback riding and fall hunting. Also, make sure you view their breathtaking waterfalls and beautiful alpine lakes. The park is a favorite for winter activities like snowshoeing (see the best spots) and cross-country skiing (see the most scenic spots). 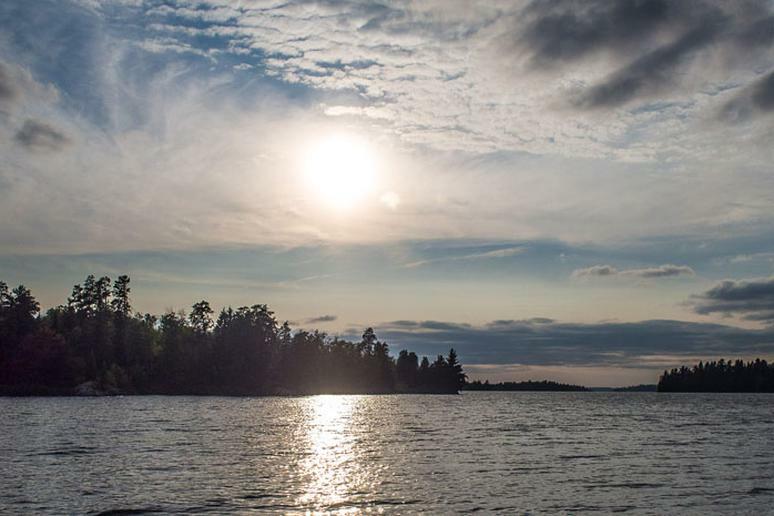 Voyageurs National Park lies within the heart of the North American Continent, according to NPS. The ancient rocks are older than those at the bottom of the Grand Canyon. Paddling is among the favorite activities. Camp under the night sky and reconnect with nature. Mammoth Cave National Park in central Kentucky is a jaw-dropping family experience. Home to the longest known cave system in the world, this World Heritage Site will have you going back every chance you get. You’ll have to crawl on your hands and knees to see certain places. Mammoth Cave consists of 390 miles of passageway. With three campgrounds, backcountry, and Green River, the park will be a grand Great American adventure (America's most scenic roads). 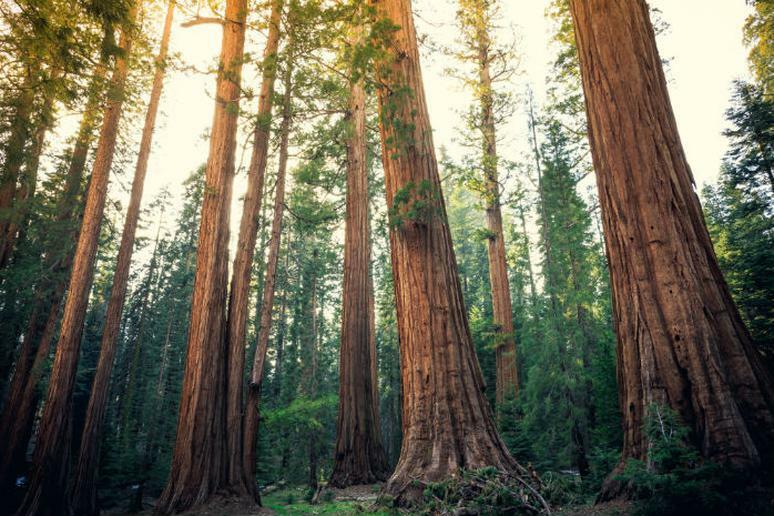 The tallest trees on the planet may be a short drive away from where you live, right in Redwood National Park. The Tall Trees Grove is the visitors’ favorite hike – about 4 miles in each direction. But the trees are not the only attraction. Huge grasslands, oak forests, wild rivers and dozens of miles of beaches keep the park diverse and entertaining. Lake Clark National Park and Preserve, also known by its nickname “little Alaska”, has a diversified collection of amazing wildlife like brown bears, salmon, moose and wolves. The park is also one of the best places for bear-viewing in the world. You have many miles of hiking trails to explore and open access to adventures such as camping, hunting, rafting, kayaking, camping, to name a few (see the best national parks for kayaking). The park is much less crowded than many others, which is another plus, according to visitors. 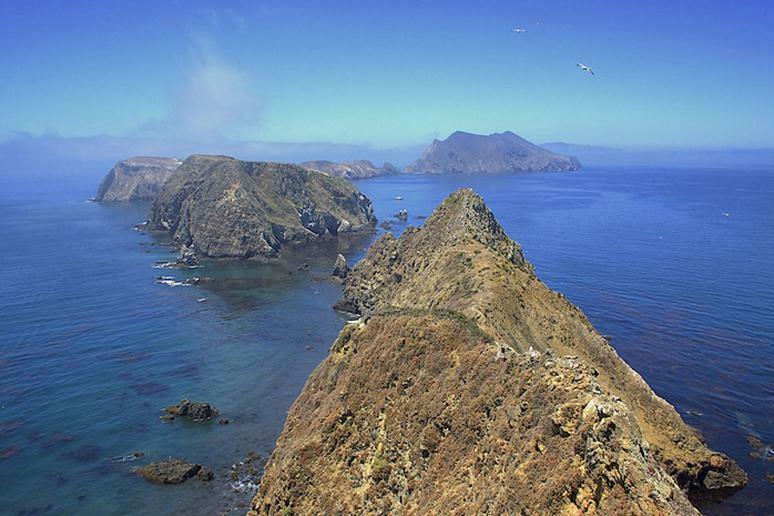 Channel Islands National park is full of unique wildlife and plants. According to National Geographic, “one of the Channel Islands, San Miguel is the only known place in the world where four different species of seals and sea lions breed.” The park includes five islands. Go diving, camping, whale watching, backcountry camping, kayaking, snorkeling, fishing and surfing. Make sure you stop to look at their scenic views, birds and wildflowers. Also, don’t forget to visit Inspiration Point for one of the best views in the park. 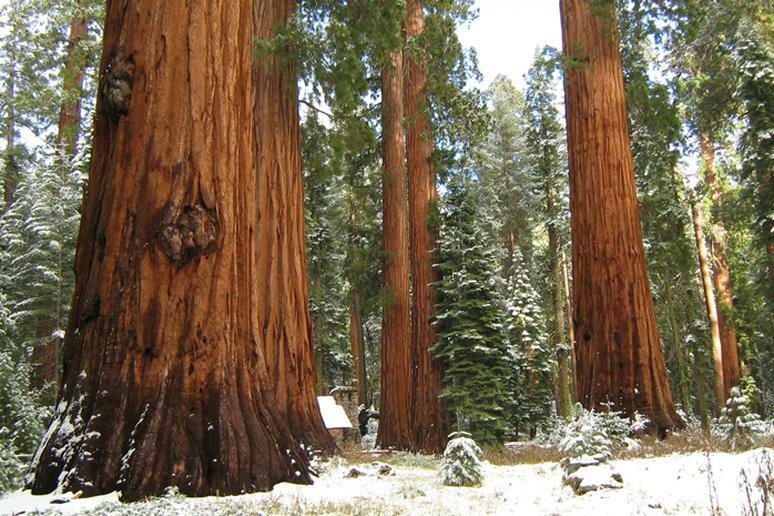 The park has several giant sequoia groves and the famous General Grant Tree, the world's second largest. 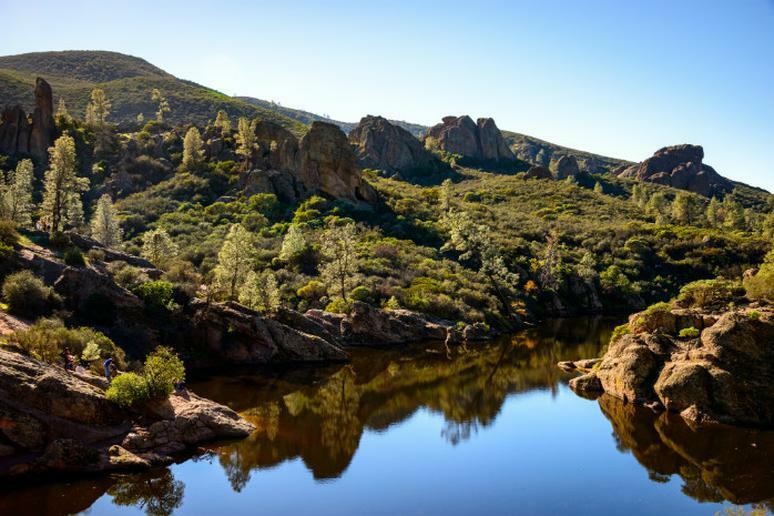 Kings Canyon also features part of Kings River, the San Joaquin River, and the Boyden Cave. The park is a great place to see black bears (how to stay safe), which are active year-round. The Glacial canyons, lush meadows, oak woodlands, and granite peaks will take your breath away. Recreational activities are endless – hiking, wilderness trips, ranger-led programs, cave tours, skiing, rock climbing (tips to get better), etc. 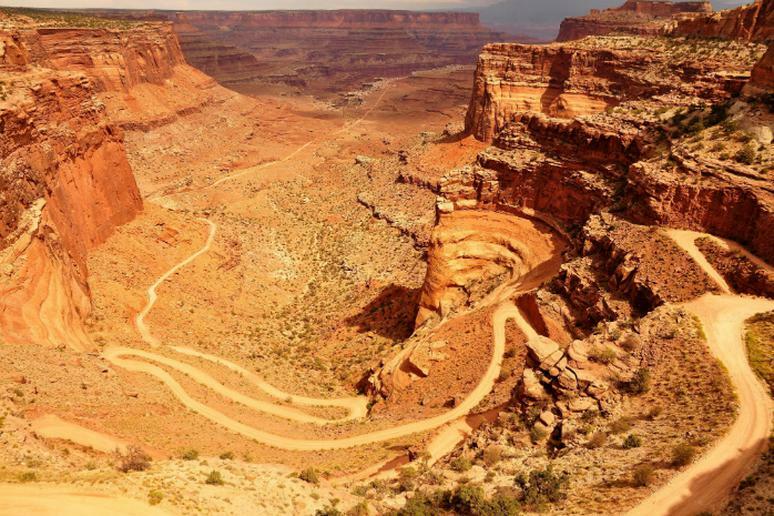 Explore the wilderness through the breathtaking canyons in Canyonlands National Park. Experience the backcountry, geology and venture out on a number of adventure sports. Some of these include biking, boating, climbing, hiking, horseback riding and the opportunity to participate in ranger-led programs. 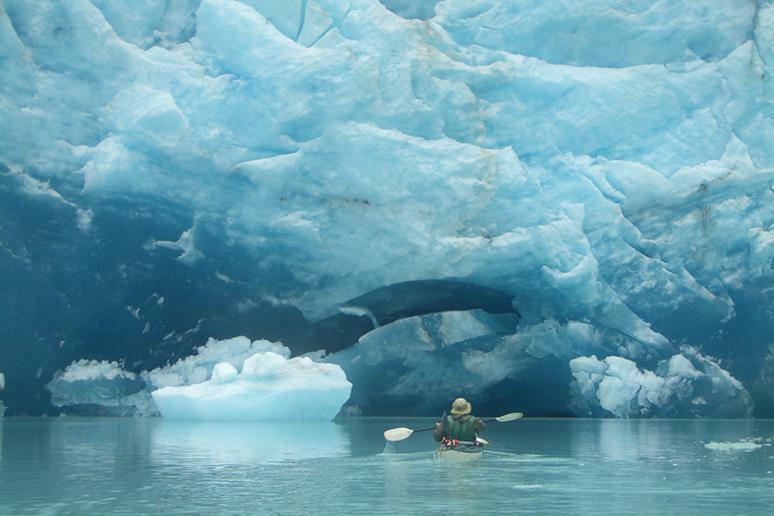 This lesser-known national park is a secret gem for kayaking. It has many lakes, bays, and islands waiting to be explored. 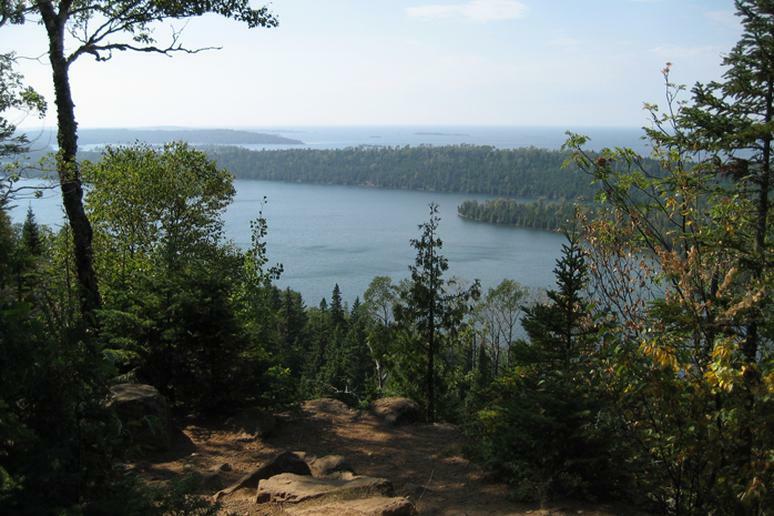 Isle Royale is the largest island in the largest fresh water lake in the world. The park is a rugged, isolated island, far from the sights and sounds of civilization, which is something many people prefer. “[The park] should definitely be getting more attention,” Nabors says. You get miles of hiking trails and dozens of backcountry campsites. You can even go scuba diving and explore the most intact collection of shipwrecks. This is one of the best parks for camping. Deep Creek Campground is an awesome place to stay for a few days. It’s all about the water. This 92-site campground is ideal for all kinds of freshwater activities, some of which are more intense than your usual workout. 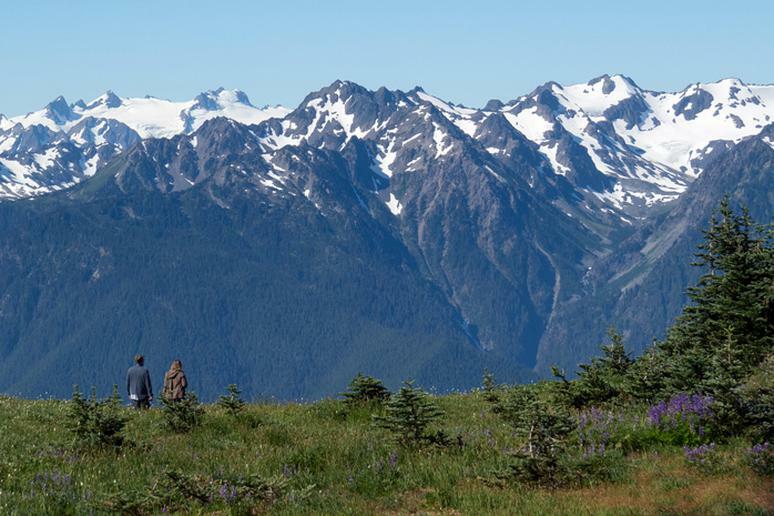 The stunning views make for perfect day hikes. The more adventurous campers can set up at horse camps. In the winter, imagine those unforgettable Table Mountain Pines covered in snow –completely serene. The wildlife in general is abundant. 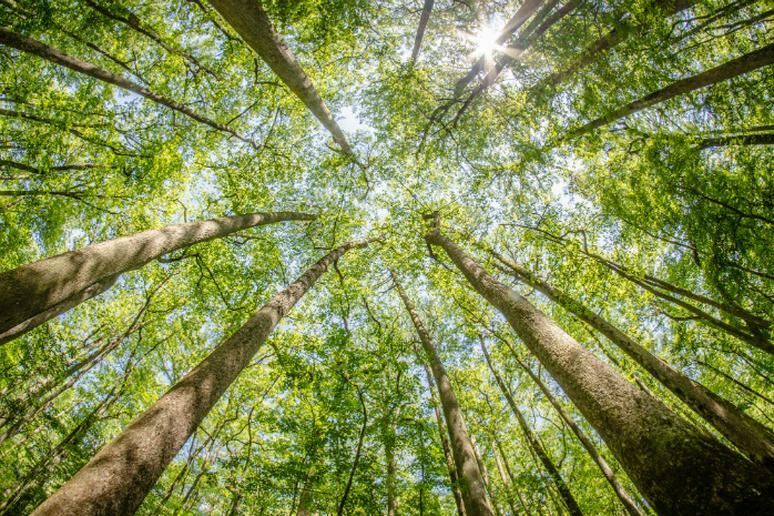 The National Park Service explains: “Astonishing biodiversity exists in Congaree National Park, the largest intact expanse of old growth bottomland hardwood forest remaining in the southeastern United States.” Upon visiting, make sure you go fishing, hiking, canoeing, camping and kayaking. 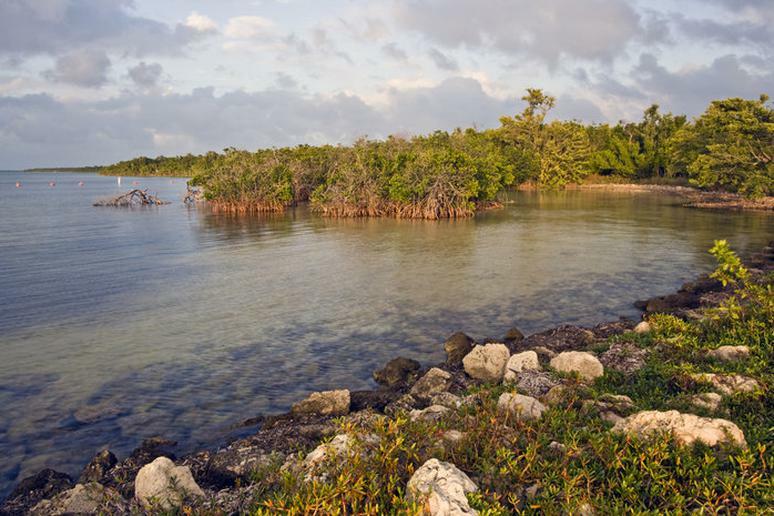 Biscayne National Park is well known for its summer sports. Go snorkeling, swimming, canoeing, kayaking, fishing and diving (10 National Parks with the Best Beaches). Participate in a boat tour, ranger program, guided tour and kids program. Also, experience their indoor museum, bike along their various bike trails, look out for incredible wildlife and experience the park at dark by camping. 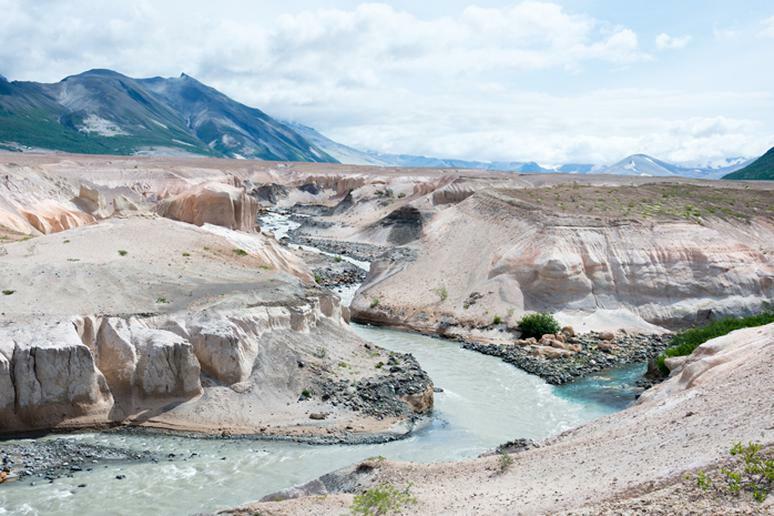 Katmai is home to the world's largest protected population of brown bears. The massive predators are spread out along the coastal areas most of the year, but in the summer they head inland to feed on huge runs of spawning salmon. The most popular destination is definitely the Brooks Camp: It offers bear viewing, sport fishing, scenery, and rich history. Katmai is a remote fly-in-only park. The park and preserve remains an active volcanic landscape and is wide open for exploration. If you love the backcountry, Badlands National Park is the perfect park for you. It offers a variety of backcountry camping and hiking. Go camping and drive the Badlands Highway 240 Loop Road for the ultimate experience. Also, go bird watching, hiking and auto touring. Visit the park and you’ll have access to one of world’s longest caves. You’ll be surrounded by flowing grasslands, tree-lined hillsides and a variety of wildlife like bison, elk and prairie dogs. This is the park for amazing adventures. The main attractions include the world’s longest and most intricate collection of caves and more than 28,000 acres of mixed-grass prairie, ponderosa pine forest. The park's mixed grass prairie is one of the few remaining. 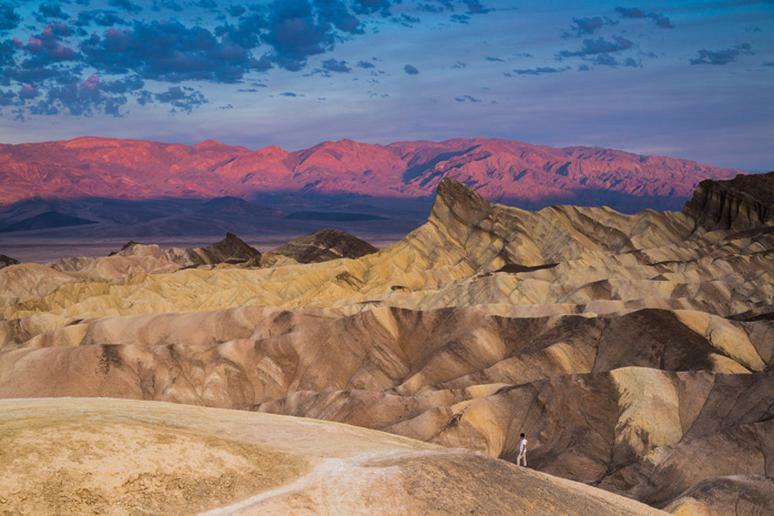 Nabors loves Death Valley National Park for its backcountry. 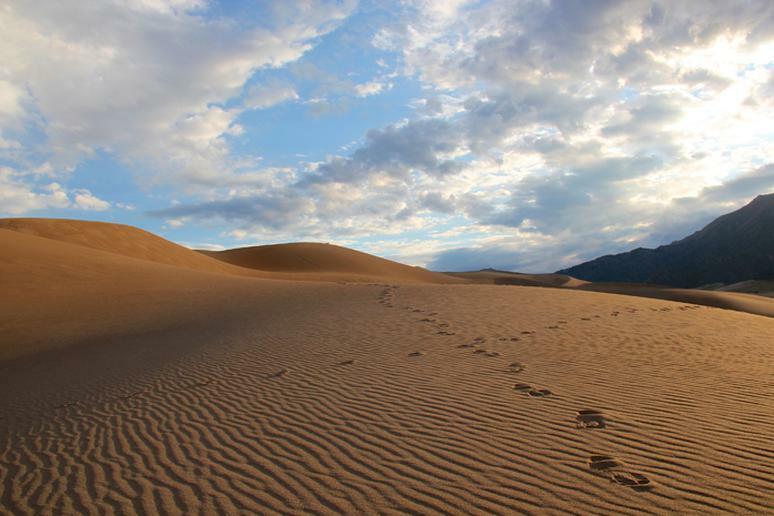 The park has approximately 3.4 million acres of mountains and deserts. Incredible wildlife and gorgeous lands which include wildflowers are also sites to look forward to. Visitors have the opportunity to go hiking, backpacking, backcountry camping, biking, birdwatching and mountain biking. 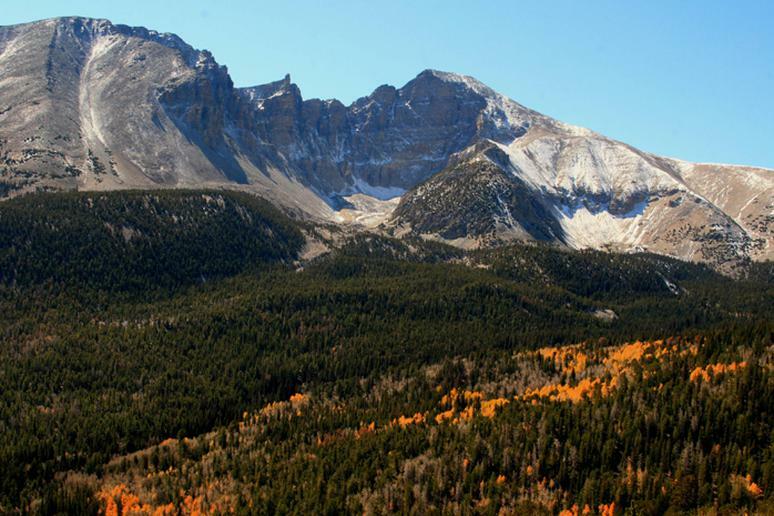 Visitors venture to Great Basin National Park for their caving, biking, birdwatching, camping, climbing, fishing, hiking, backpacking, horseback riding and wildflower viewing. 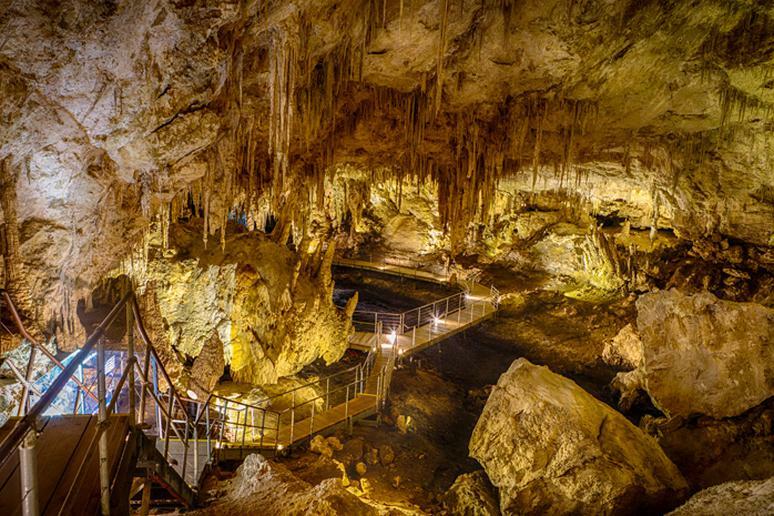 Embark on a Lehman cave Tour to view a beautiful marble cave with over 300 rare shield formations. 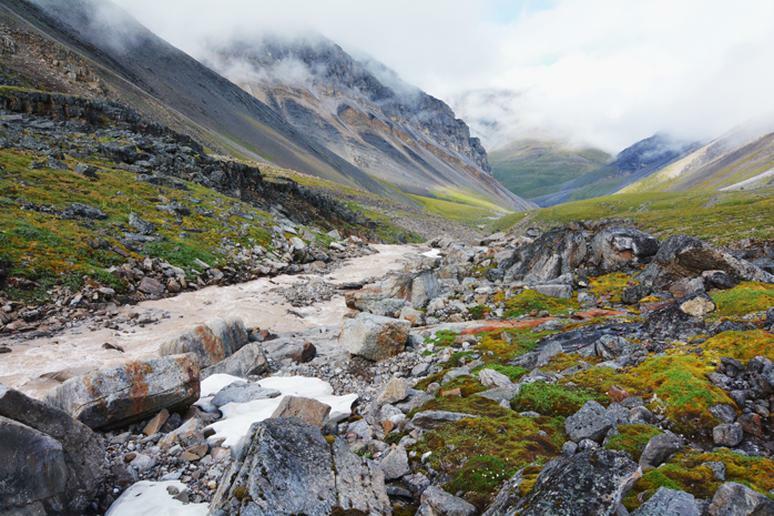 Wrangell St. Elias is America’s largest National Park. According to the National Park Service, it “rises from the ocean all the way up to 18,008 ft. Mount St. Elias.” Explore their ginormous volcanoes, incredible wildlife and unique glaciers. 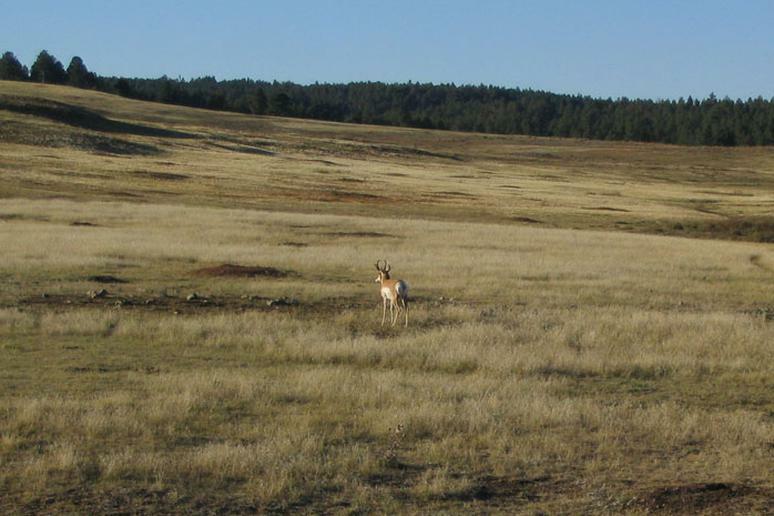 Also venture out on their approximately 10 million acres of wilderness area. 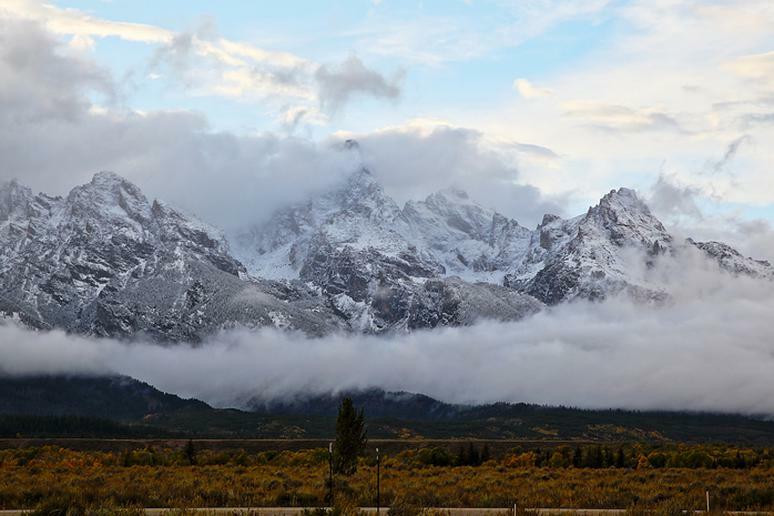 Grand Teton National Park offers opportunities for hiking, backcountry camping, fishing, hundreds of trails and wildlife. According to the Holcombe’s, “everyone goes to Yellowstone but the Grand Teton is a lot better because mountains are so big, dramatic and beautiful.” They also have amazing kayaking where you can see bears and bald eagles. 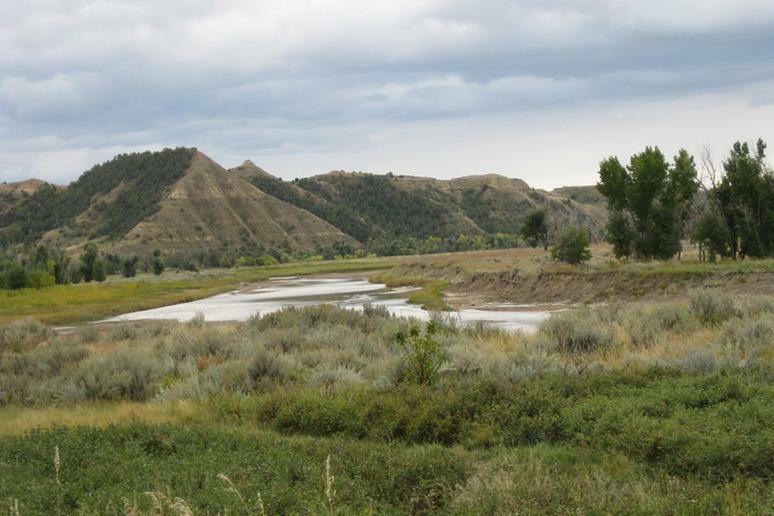 This park was named after the president who first came to the area to hunt bison in 1883. It has an abundance of a diverse wildlife. Feral horses, prairie dogs, snakes, lizards are all there. You can also participate in many ranger programs. 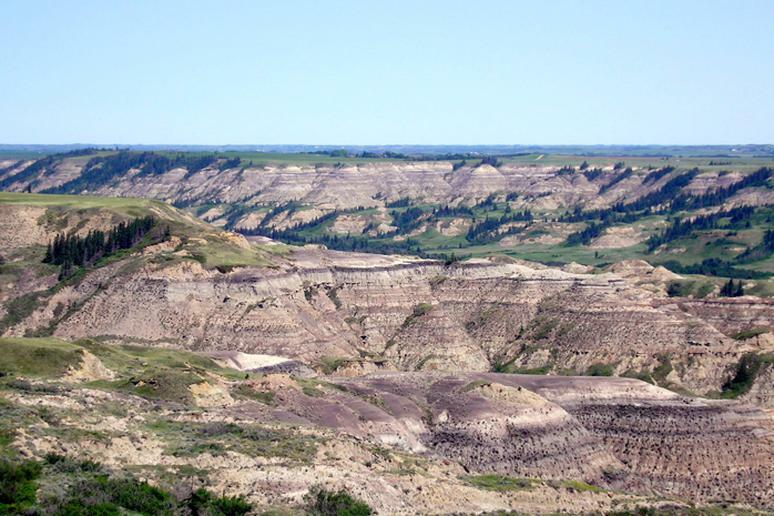 Camp under the stars in the North Dakota Badlands and go hiking and horseback riding during the day. There is so much to do here. 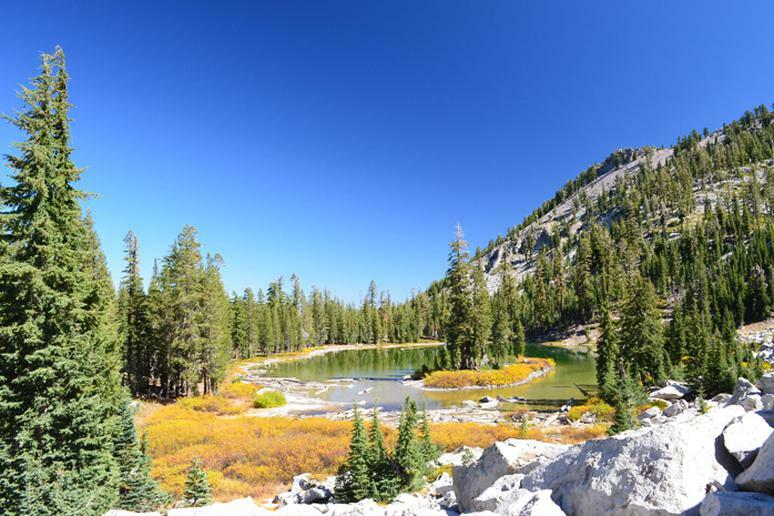 Hiking is exceptional; backcountry is unique, and the famous 2,200 year old giant sequoia tree – General Sherman, with an estimated volume of more than 52,000 cubic feet, making it the largest in the world. Go on overnight wilderness trips to submerge yourself in the natural world, or participate in special ranger-led programs. 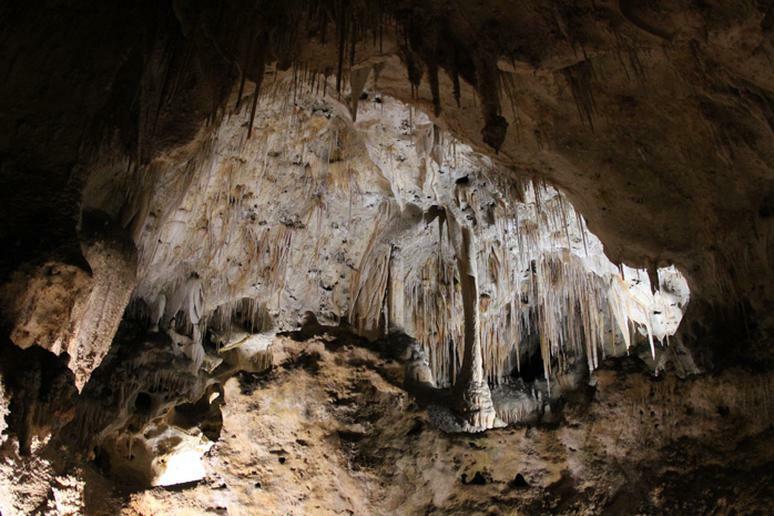 Explore the underground world of Sequoia on a Crystal Cave tour. According to the National Park Service, “Glacier Bay National Park is a highlight of Alaska's Inside Passage and part of a 25-million acre World Heritage Site—one of the world’s largest international protected areas.” Capture the beauty of its mountains, glaciers and rainforests. Then explore the park by boating, camping, hiking and participating in guided tours. Visitors get to explore more than 200,000 acres of beautiful mountains, stunning waterfalls and rich wildlife. Hiking a section of the Appalachian Trail in perfect 60-degree weather is like a dream. 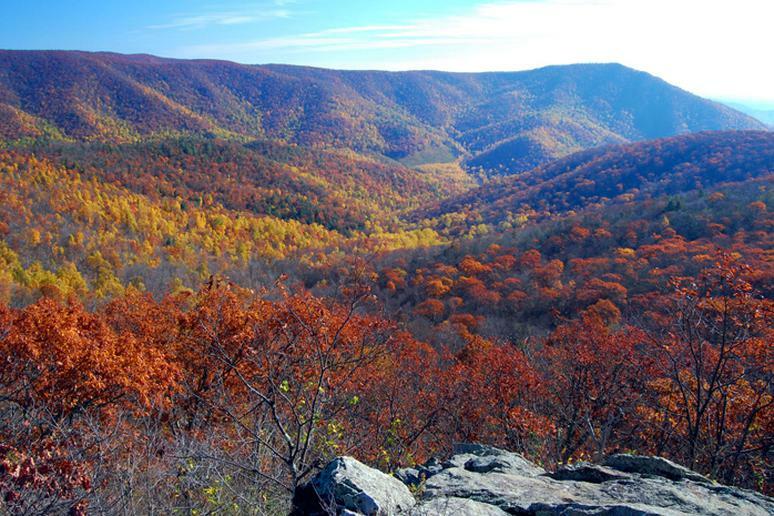 Take a road trip along the Skyline Drive, the only public road through the park, for unmatched beauty and easy access to backcountry adventures. The park is also perfect for stargazing because of the high elevation in the Blue Ridge Mountains and relative remoteness. This park is quite busy in the winter. The season activities attract a lot families and friends who go camping. Cross-country skiing to see panoramic views of the snowcapped mountains is a definite must-do. This is another place where lakes are icy, volcanoes are topped with heavy snow and steams become smoky. Most of the Lassen Volcanic's backcountry provides unparalleled opportunities. You won’t be bored in the summer either. 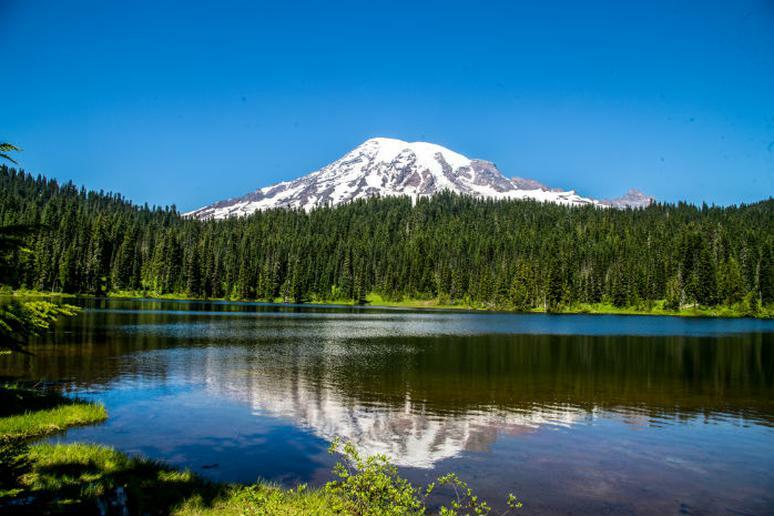 With over 150 miles of hiking trails, day hiking, backpacking, and boating are popular. Beyond pure aesthetics, it offers visitors the chance to climb an active volcano, trek through old growth forests and take photos of spectacular wild flower meadows. The popular climbing campsite, Camp Muir, is also a hiking base. People start on the Skyline Trail, walking more than four miles and climbing more than two miles to Muir Snowfield. Winter looks like wonderland after snowfall. There is always a lot of snow there which makes ranger-guided snowshoe walks, camping, snowboarding and skiing all the more fun. The park is just about three hours from Seattle. 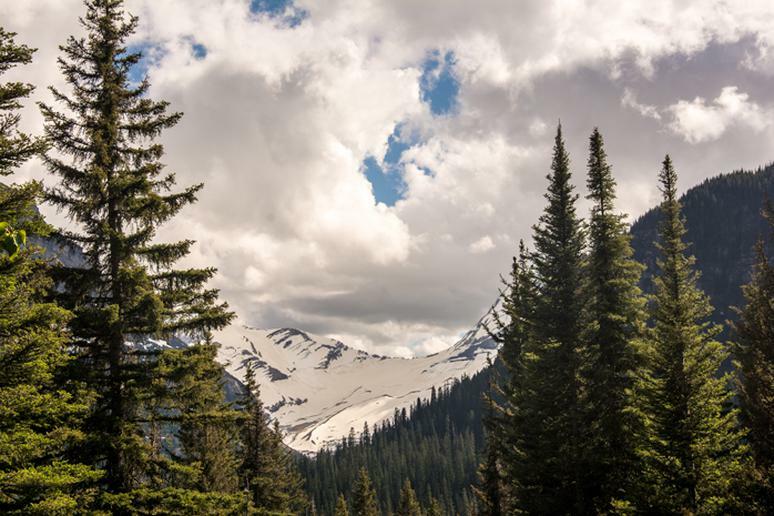 You can find everything there – jagged peaks, abundant forest, alpine lakes and glaciers galore. Whether you prefer backpacking trips or camping, climbing and fishing, this national park will accommodate you. The unique wilderness is worth the trip. 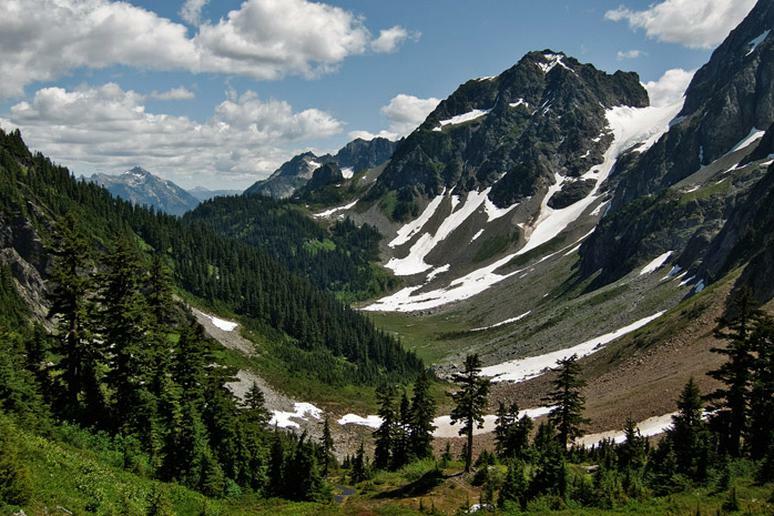 The North Cascades is not among the most visited parks, which makes it more appealing to many avid travelers. Here you will find some of the most mind-blowing colors found in nature. 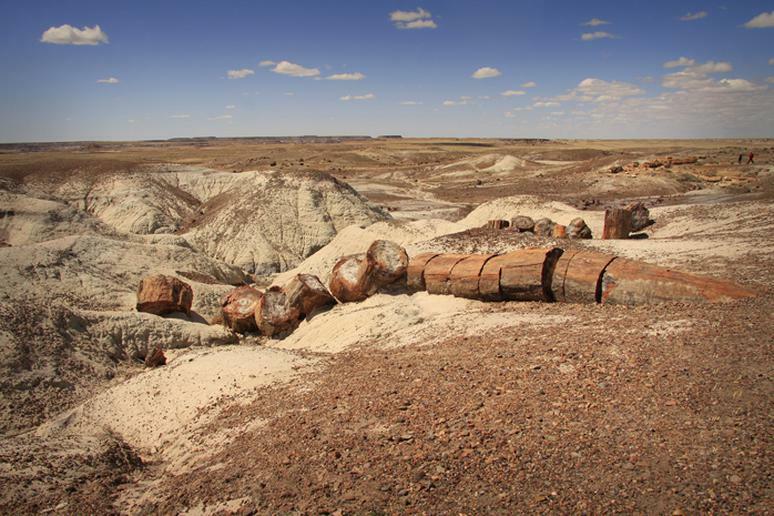 Petrified wood is the product of trees transitioning into stone. According to the National Park Service, “each piece is like a giant crystal, often sparkling in the sunlight as if covered by glitter.” The rainbow of colors is produced by impurities in the quartz, such as iron, carbon, and manganese. Geologists, paleontologists, historians, visit from all over the world to study this National Park. While the Lake Triassic fossils are the major attraction, the vast and scenic landscapes offer absolute breathtaking views. 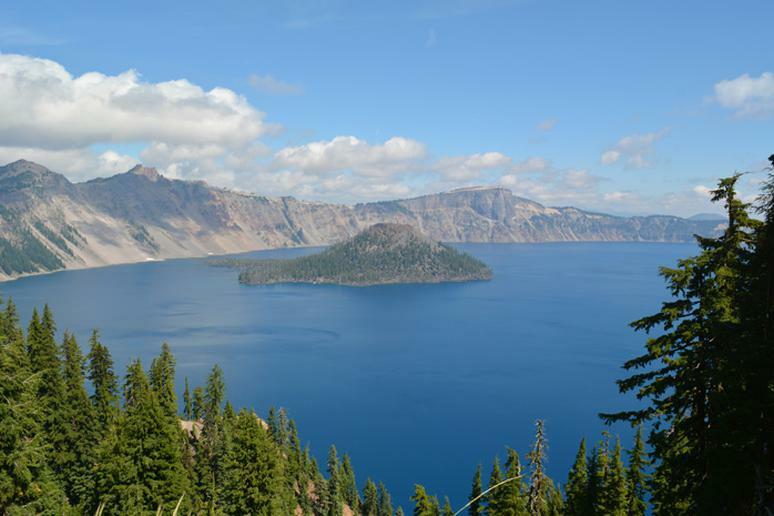 This park is incredible, giving you the opportunity to visit two of the world’s most active volcanoes, hike over 100 miles of trails, and bike through deserts and rain forests. Kilauea, an active shield volcano, is extremely dangerous not because of the hot ash and lava, but because of toxic fumes that are released. 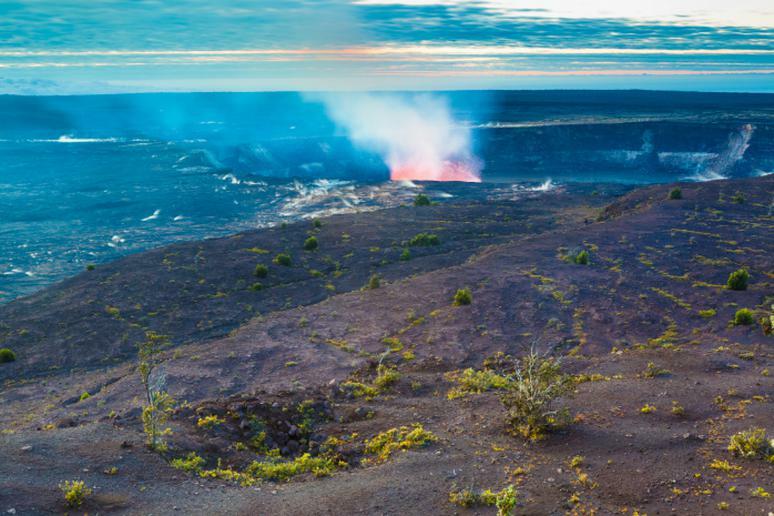 Looking for an amazing lava experience? Look no further, take a 20 minute walk through the forest then you will reach the Thurston Lava Tube. 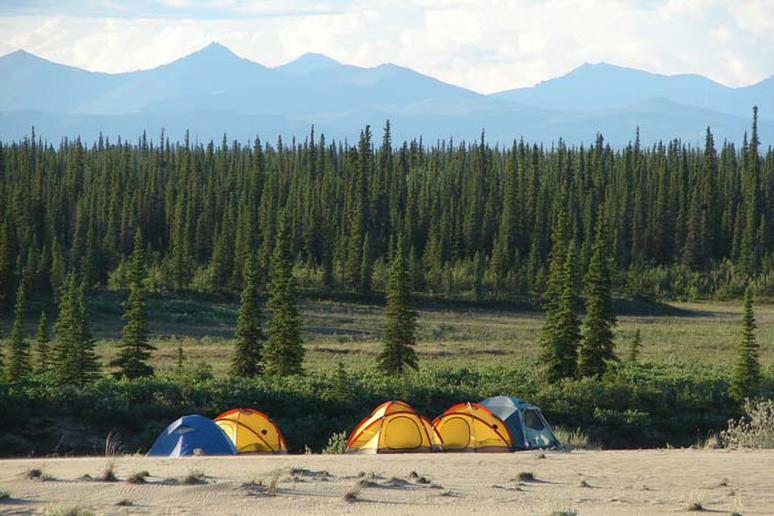 Explore the wilderness, amazing scenery, and beautiful landscapes of Denali National Park & Preserve. Climb Denali, formerly known as Mount McKinley, the highest peak on the North American continent, go dog sledding, hiking and take advantage of the opportunity to view the spectacular northern lights. 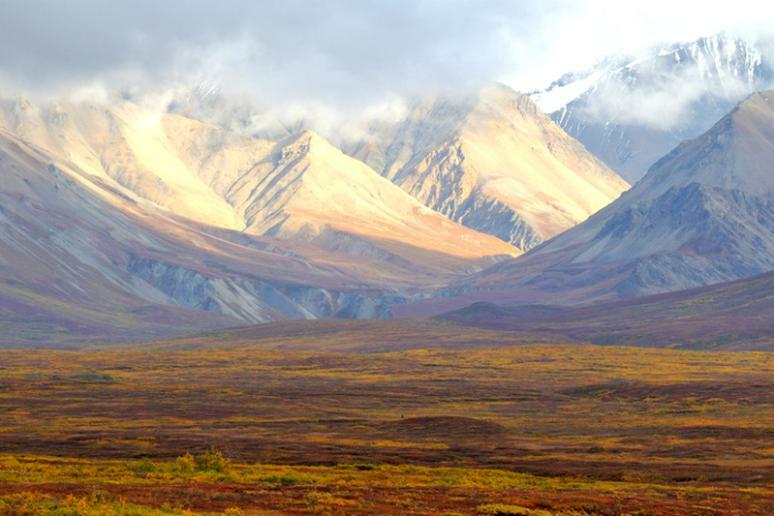 Wildlife at Denali National Park & Preserve includes wolves, bears and about 169 bird species. This is one of the most popular national parks in the country. It has three unique environments – mountains, coasts and rainforests. Hiking the park feels like you are in an imaginary world. The park is almost one million acres. There are no roads to spoil the natural beauty, which makes the adventure more challenging but totally worth it. You will never get tired of this park. Make sure you explore the less popular 73-mile long wild coast. 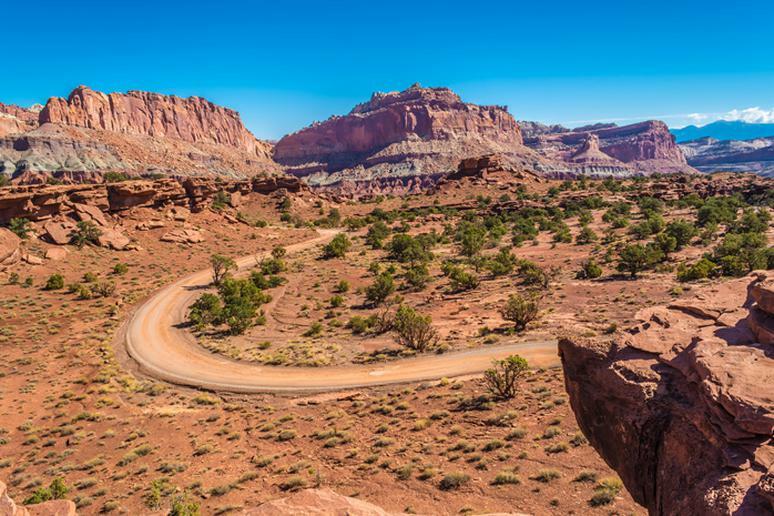 Capitol Reef National Park is famous for its adrenaline pumping adventures. “This morning I went canyoneering, and it is definitely a gem on the list, it is not visited a lot but definitely should be,” Nabors says. Also, embark on the various hiking trails, go camping, bike riding, participate in their ranger-led programs and even try backcountry horseback riding. If you want a scenic adventure, explore the Rocky Mountains. Backcountry skiing and sledding in Hidden Valley are common among locals and tourists in the winter. While you are skiing around, you are most likely going to see many elk deer and moose roaming around the park. In the summer, you may even get close to bears, coyotes and cougars. 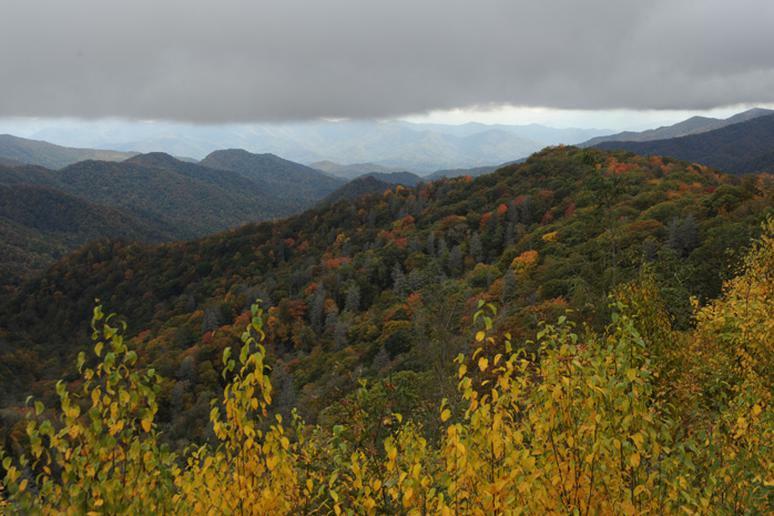 This gorgeous park offers some of the most stunning and diverse mountain sites in the country. Hiking is a very exciting way of exploring its riches and you “feel like you’re on top of the world,” according to NPS. 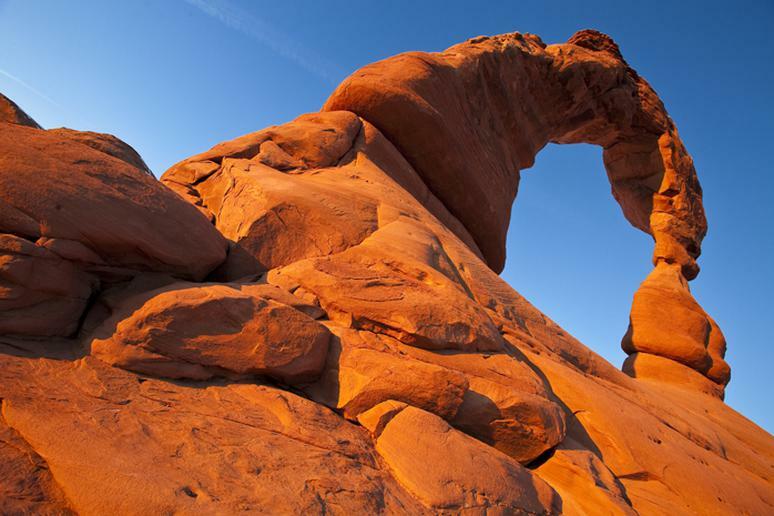 Arches National Park is full of fun and adventurous things to do. 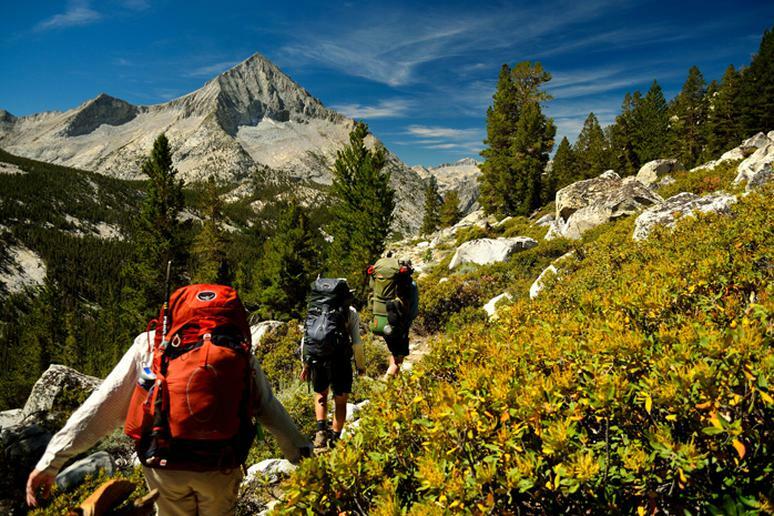 Go backpacking (7 Backpacking Tips for Beginners), bike around their trails, go camping, canyoneering, hiking, horseback riding, and experience one of the Holcombe’s favorite sports, rock climbing. Also view the park’s incredible famous arches, landscapes, and go on an auto tour. Bring your pets along because Acadia National Park, home to the tallest mountain on the U.S.’s Atlantic coast, is pet friendly. Make sure you go camping, view their incredible wildlife, hike their ginormous mountains and bike along their variety of trails. Also, capture photos of their incredible scenery and even participate in a park ranger program. 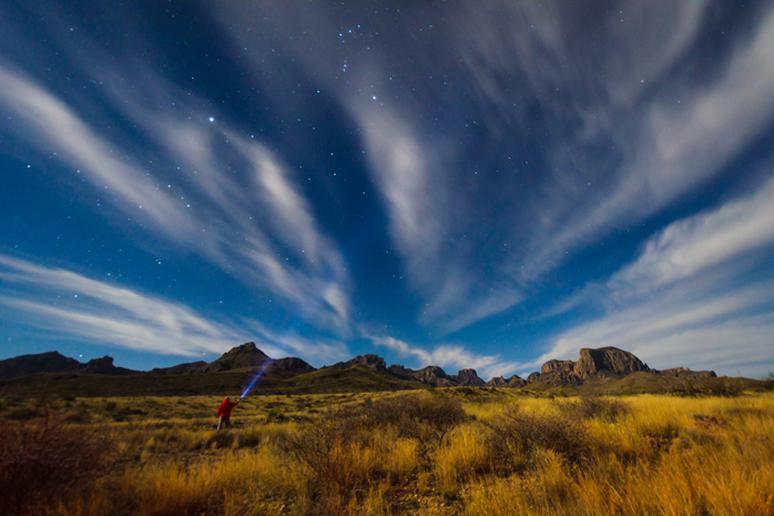 Embrace winter’s beauty on a spectacular winter hike in Big Bend National Park; they have about 200 miles of hiking trails! The Holcombe’s explain that it is not very busy and it’s wonderful to visit in the winter. However, they also love to kayak and said that Big Bend has a few hundred miles of kayaking. Also, explore the backcountry, go horseback riding, backpacking, mountain biking and bird watching. Participate in one of their ranger-led programs, go stargazing and embark on a beautiful scenic drive. Yellowstone National Park is one of the most famous recreational areas in the United States. Visitors venture to this park to view the most renowned geyser, Old Faithful. 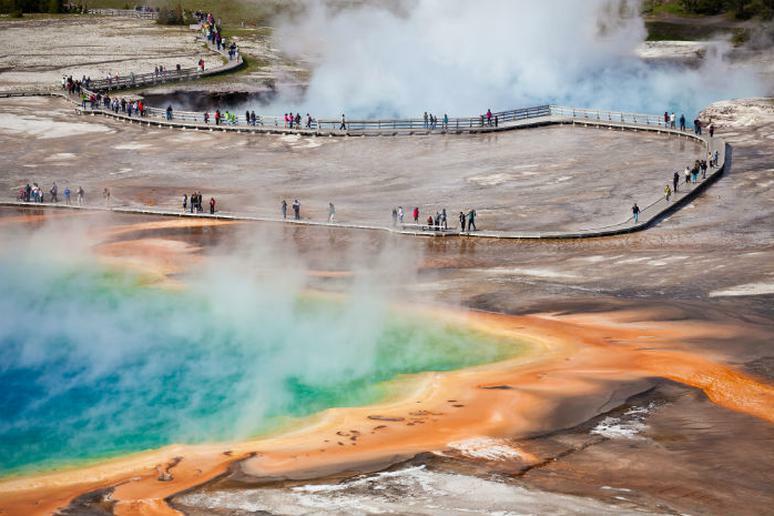 Things to do at Yellowstone include, wildlife watching; see grizzly bears in their natural habitat, hiking the Grand Canyon of the Yellowstone and whitewater rafting through Yankee Jim Canyon. Grand Canyon National Park is full of so much to do and so many sites to explore. Nabors says rafting in the Grand Canyon is an incredible experience, and the backcountry is amazing. Visitors can also explore the park by camping, biking, guided tours and summer/winter hiking. 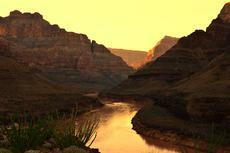 Tips: Visit the Grand Canyon Village, Raft the Colorado River and take a trip to the North Rim. 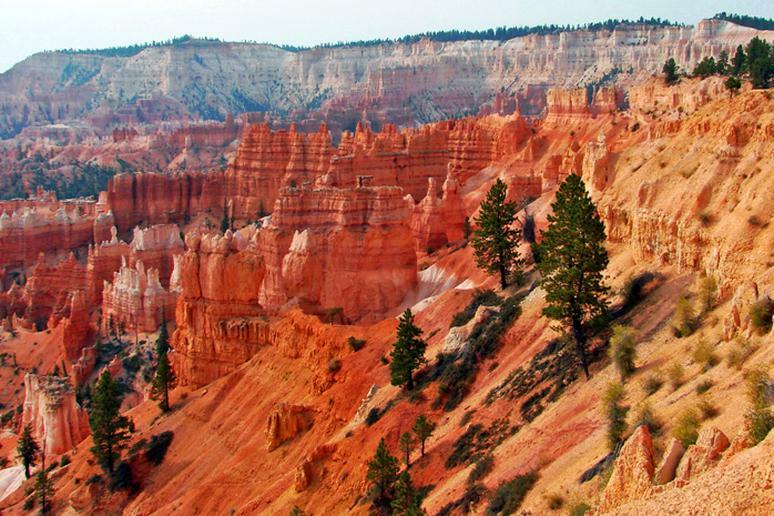 Bryce Canyon National Park is famous for its incredible stone hoodoos and rock types. It has beautiful scenery and gorgeous landscapes. Opportunities to go camping, biking, backpacking and hiking are available. Go snowshoeing, skiing, sledding and take a guided hike in the winter months. Also, make sure you take advantage of the backcountry trails and tours. 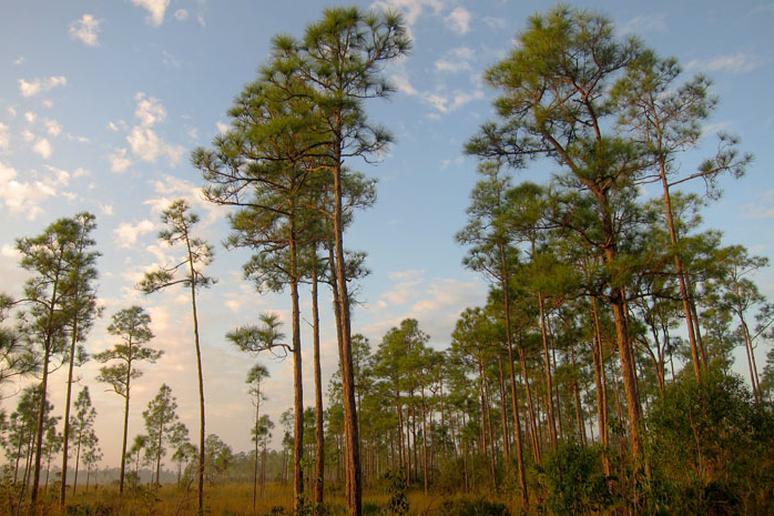 Spot a variety of wildlife at Everglades National Park. Take a boat tour to view crocodiles and dolphins, and go on a hike to view turtles and alligators. Biking, birdwatching, boating, camping, canoeing, kayaking, fishing, geocaching and ranger programs are also available for visitors. 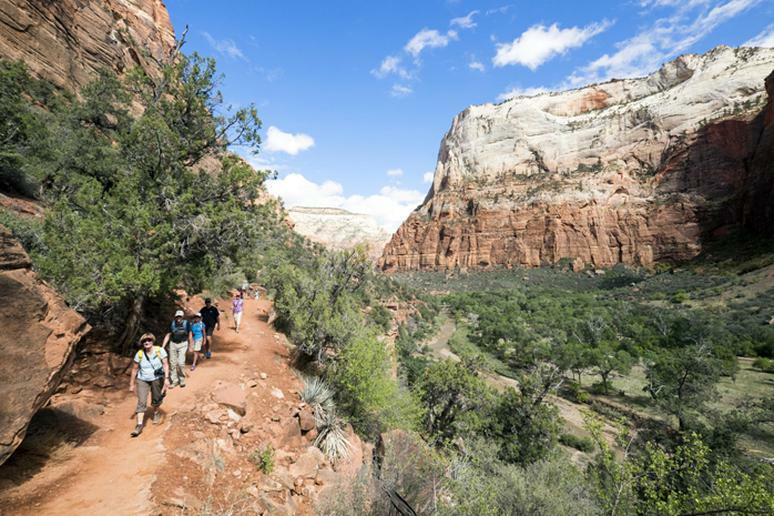 View the ginormous sandstone cliffs, incredible wilderness and variety of wildlife at Zion National Park. According to the National Park Service, the park has more than 1,000 species of plants. Some of which include graceful cottonwoods, cholla and yucca. 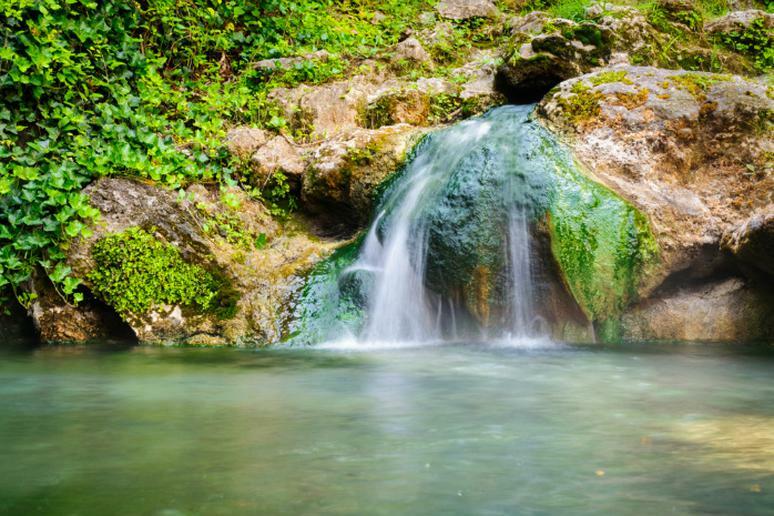 Also, visit the park’s beautiful waterfalls, springs, gardens and sandstone cliffs. Pristine forests, incredible mountains, stunning lakes and spectacular hikes are just some of the many things you have to look forward to when visiting Glacier National Park. Hike Grinnell Glacier for views of beautiful waterfalls, take a boat ride along the beautiful lake in Glacier International Peace Park, view their vast amount of wildlife and make sure you experience the Going-to-the-Sun Road; it’s a scenic drive that takes you through the heart of the park over Logan Pass. Also go boating, fishing, cross-country skiing and snowshoeing. 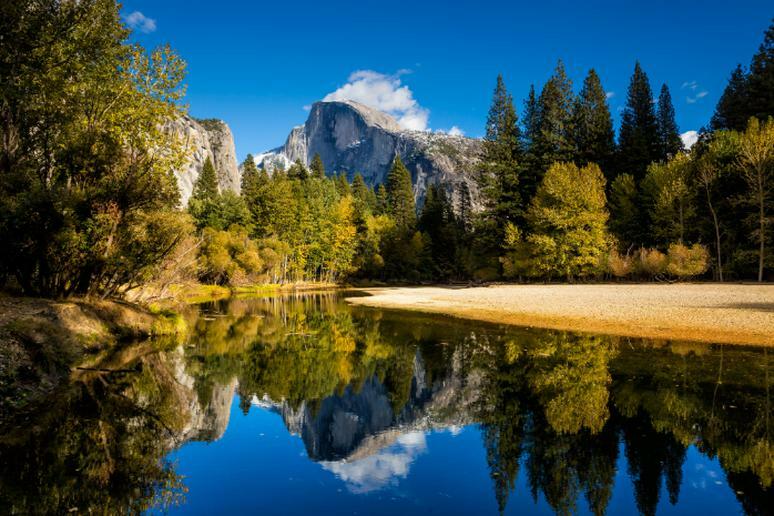 With over 20 waterfalls (See: The Most Beautiful Waterfalls in the World), challenging day hikes and family friendly trails, Yosemite National Park is the perfect park to embark on solo or with your loved ones. Visit one of the world’s tallest falls, Yosemite Falls. Go rock climbing, swim in their outdoor pools, visit Glacier Point and take a full-moon bike ride. In the winter, Yosemite is known for their downhill and cross-country skiing.